Campeggio Montagut si trova a Montagut, Girona. Il campeggio a terrazze dispone di piazzole delimitate, sia ombreggiate che e piazzole poco ombreggiate. È possibile affittare bungalow. Il campeggio dispone di un parco giochi e di un campo sportivo. Ogni anno un ispettore visita il Campeggio Montagut, controllando oltre 200 tra attrezzature e altri punti di interesse del campeggio. L'ispettore è un dipendente ACSI e non lavora per il campeggio. What a lovely little site, we stayed longer as the facilities were so nice and it is in such a pleasant area. The beautiful old stone bridge which is a few hundred metres away is the starting point for some nice walks and if you have a car you can drive a few miles up up the valley to the nature area car park where there are lots of other walks.The swimming pool was unheated but a welcome addition on a warm day. The toilets were well equipped and clean - and they had seats and toilet roll! We were told that it can get very busy at weekends with local families but otherwise it is very peaceful. Some of the pitches are a bit short for larger units, otherwise we would have given them 5 stars. Off the beaten track but obviously popular with locals and experienced Dutch and German campers. Mixture of mature pitches some with low trees but pick your pitch carefully and you'll be fine. Great facilities and a lovely feel to the site, great walking and countryside on the doorstep. We were out of season so no restaurant but they do lovely homemade takeaways on weekends, brilliant personal service, place your order in advance and say when you want it, please take the pot back next day! Good wifi across most of site, sufficient for browsing but not for downloading. Left with a smile on my face. Camping interesante, no muy grande, con buenas parcelas de hierba muy accesibles. Las instalaciones sanitarias son buenas y sobre todo los alrededores son muy interesantes para el senderismo. Volete prenotare il campeggio Campeggio Montagut o oppure saperne di più? Potete farlo usando i seguenti dati oppure tramite il sito del campeggio. A7, uscita Figueras-Norte. C260 direz. Besalú. Da Besalú A26 uscita 75 per Montagut. Poi seguire i cartelli. 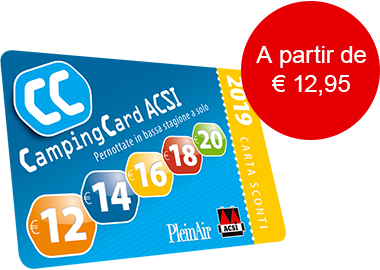 ACSI Eurocampings invia la tua richiesta di informazioni al "Campeggio Montagut".